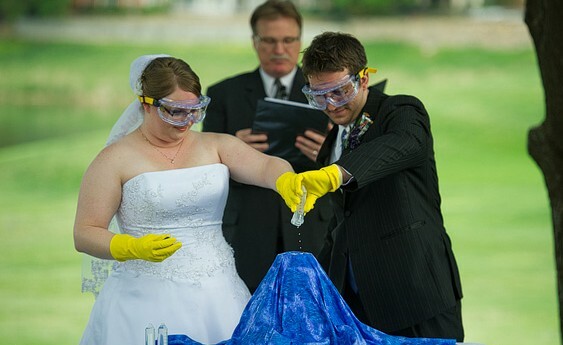 Make a unique ceremony for the couple by having them pour out vinegar on a volcano made from clay with baking soda inside! See more photos from this wedding on the source. Watch a video of this ceremony.